Emmett Vaughn can fill a room just by his very presence. He commands your attention solely with his broad shouldered physique and orator’s voice. He holds your attention and garners your respect when he speaks about his passion…his lifelong calling, as an advocate for minority owned business. Vaughn is currently Director of the Office of Diverse Business Empowerment at Exelon Corporation. In this role he provides strategic direction and oversight for approximately $1.5 billion of business deals done between Exelon and diversity certified businesses annually. He joined the company in 2005 and has been the catalyst for much of Exelon’s success in national supplier diversity and economic development. Under Vaughn’s leadership, Exelon has generated more than $3.8 billion in “new business” for MWBEs. Vaughn grew up in a middle-class neighborhood in St. Louis Missouri, the oldest son of well-educated parents who instilled the value of excellence in their children. Anxious to never disappoint his family he was educated in public schools with curriculum tracks for the gifted and talented. In addition to his stellar grades, Vaughn was awarded a fellowship to the prestigious Julliard Institute, and scholarships to play college football. He chose Northeast Missouri State University for his undergraduate education. 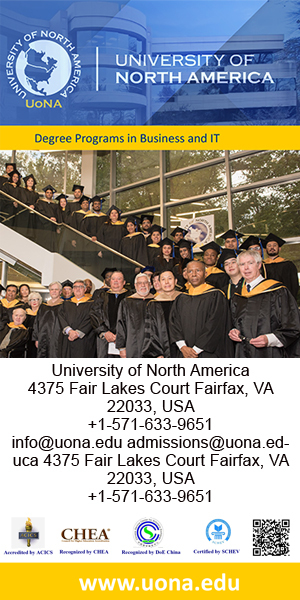 Vaughn received his MBA from Kellogg School of Management. At an early age Vaughn became aware that growing up a Black man, in the first generation post-civil rights movement, presented many challenges and uncertainties. Although legally, African Americans had access to more opportunities, Vaugh recognized that in order to succeed, Black men had to bring more to the table than their Caucasian counterparts. This realization resulted in Vaughn establishing two foundational principles, which he follows to this day; Do not be afraid to assert yourself, and; Strive for continual improvement. Following these principles has resulted in Vaughn bringing his A game to his career, as well as his personal life. Vaughn’s first job after college was at Junior Achievement as a fund-raiser and public relations associate. His performance there was so impressive that he was transferred to their corporate headquarters and later to Chicago. His move to Chicago presented Vaughn with unprecedented access to Chicago’s political powers, including John Rogers Jr., founder of Ariel Capital Management and George E. Johnson, Sr., founder of Johnson Products, the first African American-owned company to be listed on the American Stock Exchange. Through these men, who he considers two of his earliest mentors, Vaughn learned firsthand how to effect change within a heavily politicized environment. Vaughn was introduced to supplier diversity through a position at RGMA. RGMA’s CEO, Ralph Moore, is considered a supplier diversity pioneer and is still regarded as an iconic figure in this arena. 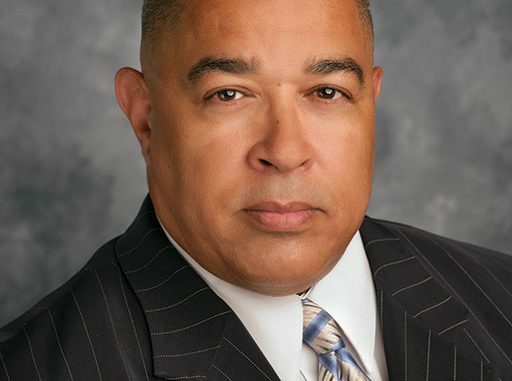 His entry into the corporate world of supplier diversity came when a RR Donnelley division president was so impressed with Vaughn’s suggested approach in response to a marketplace business and minority community outreach crisis, that he asked Vaughn to launch the corporation’s first supplier diversity program. Rev. Jessie Jackson Sr.’s, Rainbow Push Coalition had targeted RR Donnelley as a diversity unfriendly corporation. When Jackson learned about RR Donnelley’s new hire he demanded a meeting with Vaughn. During this powerful two-hour meeting Jackson insisted that Vaughn work for him instead of RR Donnelley. He wanted Vaughn in his succession plan. Jackson contacted the chairman of RR Donnelley and after much negotiation agreed to allow Vaughn to be “loaned executive” to Jackson for one year. When Vaughn’s stint with Jackson was completed, he returned to RR Donnelley. Subsequently, he led the successful business turnaround of a fledging minority owned printing company, Fidelity Print Communications. He was then recruited to lead Albertson, Inc., a leader in the retail grocery industry, in their Supplier Diversity/Ethnic marketing Program. In 2005, Exelon was attempting to merge with N.J. based PSEG. One of the tension points in the merger was Exelon’s modest use of diverse suppliers. Exelon executives decided that their corporate supplier diversity effort needed to be strengthened. Vaughn was introduced to the Exelon CPO, through senior executives at Chicago based ComEd and was hired almost on the spot. Business is about relationships. At Exelon Vaughn reunited and resumed relationships with several former colleagues from different stages of his career including current Exelon Board member, John Rogers. Vaughn credits these relationships with establishing credibility within Exelon’s “C-Suite”. That credibility was integral to getting Exelon moving in a direction that immediately integrated the supplier diversity process into the corporate strategic direction. He is also concerned about how and where corporations position the supplier diversity function. Vaughn has worked tirelessly within Exelon to build a strong business case for supplier diversity and to help his colleagues understand that supplier diversity is inclusive of economic development, intergovernmental relations, and driving market growth. “Corporations should use supplier diversity as a cornerstone in economic development and sustainability efforts,” says Vaughn. “When there is no connection to other aspects of external market strategy it is not as effective. Now my office is called Diverse Business Empowerment. I wanted to send an internal signal that benefits to the Exelon supply chain would not capture the essence of the work done for the entire corporation. Vaughn urges corporations to be more rigorous in the level they set for supplier diversity professionals. As minority entrepreneurs are becoming more sophisticated so must supply diversity professionals. He is not suggesting that everyone have an advanced degree, but he is concerned that often times the individuals heading these offices do not possess the professional experience or business skills to garner respect from or adequately advocate for the stakeholders they serve. On a personal level Vaughn is a deeply spiritual person who believes he has been given a mission to help people of color and serve the underserved communities. He has a son, two daughters, a son-in-law and three grandsons. Vaughn is strongly influenced throughout his life by his guiding scripture Psalm 119:71 It is good for me that I have been afflicted; that I might learn thy statutes. What a wonderful article about Emmett. I have known and worked with Emmett in the past and love how this article captures his passion, personality and amazing leadership. Sassy…that’s a good word!